Since the United Kingdom voted to leave the European Union this past summer, there are some important changes that have taken place in the financial markets on an international scale. These changes raise questions about directive payment services for merchants, taxes and overall financial implications. Merchants with European accounts, specifically those with accounts in the U.K., are understandably concerned about how they will be impacted. Will European merchant account will be affected? Thankfully, European merchants account are governed by Visa and MasterCard International, not by the U.K. government. For international merchants with accounts in U.K. banks, there is no concern – there is no need to re-register or re-apply and they can continue to process under the terms of their European merchant account. As the dust settles from this historical political shift, it’s unclear exactly how taxes will be altered. However, it’s unlikely that international merchants will become tax-free as tax revenue from international online retailers will likely be an increasingly important source of revenue for the U.K. Prior to Brexit, the EU passed the Payment Services Directive 2. This system created a single EU market for payments, making cross-border payments as efficient and secure as possible. The system also made encryption, banking APIs and direct payments much more standardized. At this time, no changes have been made to the system, though in time, it may be possible for the terms to change. In the short time after the Brexit vote was completed, the GBP dropped to a 31 year low. Many expert economists believe that the move with weaken the U.K. economy, while others believe that it will take several years to see the reality what the Brexit means to the U.K. and the E.U. Despite this, international merchants are able to maintain their current businesses in the U.K. and continue to access the benefits of an European merchant account. 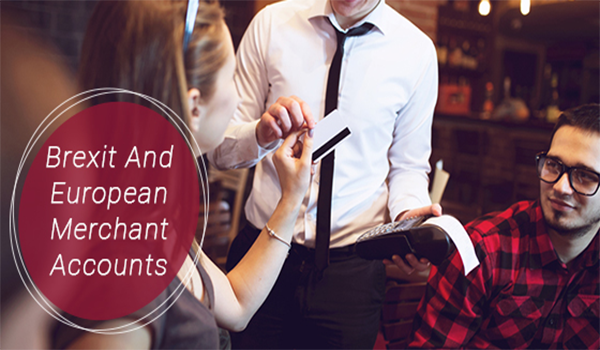 European merchant accounts remain critical to growing your business overseas and accessing the European market. You should seek a merchant account provider who can offer you a secure payment gateway and protection against fraud and theft. Most importantly, seek the guidance of an experienced merchant account provider who can help you to navigate the changing environment of Europe’s financial state. MerchACT has strong relationships in the U.K. and across Europe and can help to navigate during this time of instability.